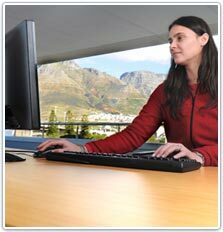 Laragh was founded in 1996 as a content development partner of the then CBT Systems Ltd.
Our main development center is in Cape Town, South Africa. We also have company presence in Kilkenny, Ireland. Laragh was founded by Tom O’Neill who brought considerable experience within the international e-learning industry to bear on the Laragh vendor proposition. Laragh was set up as a relatively low profile organization. From the outset it has operated within a unique niche in the e-learning industry: offshore development with the same level of start-to-finish quality, service, and fidelity as that of an onshore partnership. The company has consistently maintained its main focus on providing reliable and flexible e-learning outsource service to a small number of highly valued clients. We are proud that as well as maintaining development relationships over many years, several of our original staff members still work with the company.